A recent article in the Scientific American details some history of migraines. Interestingly, President Thomas Jefferson was among those afflicted. During his second term in office, President Jefferson had a migraine every afternoon. Imagine what this did to his ability to make the important decisions about running our country. The Scientific American called migraines “the most common neurological disability in the world”, acknowledging the role of the nervous system in the development of these crippling attacks. 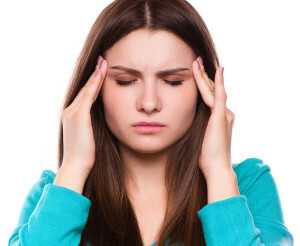 Migraines are not simply a bad headache – they are often accompanied by a host of other symptoms including nausea, vomiting, changes in vision, and severe pain. Even 200 years after Jefferson’s presidency, the medical profession still struggles to reliably manage migraines using various types of medications. Since research points to migraines being intimately connected with the nervous system, it would make sense to ensure that nervous system function is uncompromised in a person who suffers from migraines. This is exactly what Dr. Breuwet offers his patients in his Honolulu practice. Through a very specialized analysis, Dr. Breuwet determines if a misalignment of the upper two vertebrae in the neck, the atlas and axis, are putting pressure on the brainstem, which can be the underlying cause of migraines. If this misalignment is determined to be the problem, a gentle adjustment can restore normal head/neck alignment as well as normal neurological function. Rather than continuing the cycle of trying different types of medications that only provide temporary relief, correcting the cause of migraines at the source can give lasting results naturally.